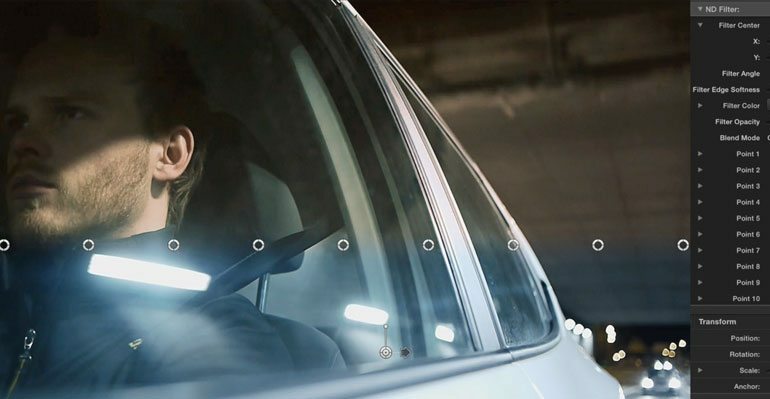 Create the cinematic masterpiece you always wanted to with PROLENS. 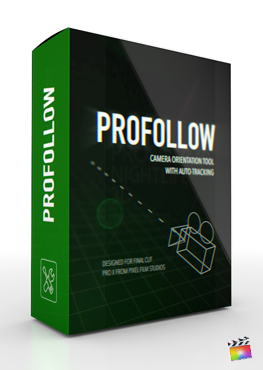 This bundle of professional lens plugins and video enhancing tools for FCPX will help you look like a professional Cameraman. 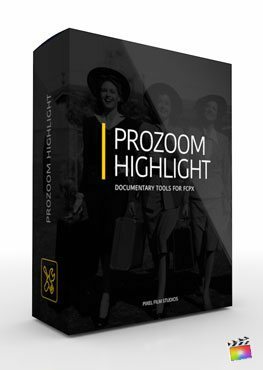 Use the plugins in PROLENS to give your footage optical looks that you could normally only achieve in-camera and by owning many expensive lenses. Use Pro Go to correct your fisheye distortion in FCPX. Simply drag and drop the Pro Go plugin onto your footage to fix the horizon curves in your shot. Then, use the effect controls to keep or remove the exact amount of distortion you want. 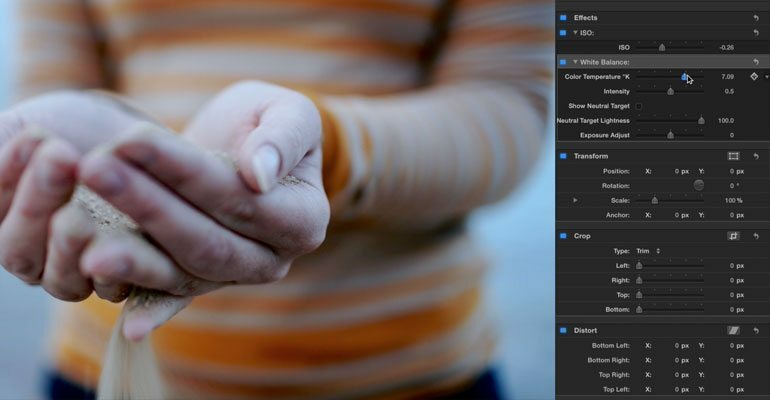 Tilt Shift is a powerful plugin that can quickly turn your footage into a miniture, stop-motion simulation. 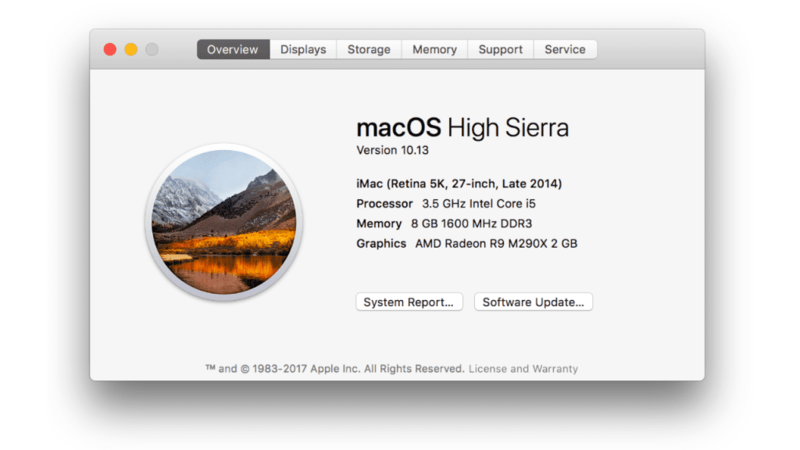 With easy-to-use on-screen controls, this plugin is also the most intuitive and accurate tilt shift effect available for FCPX! Selective Focus allows you to draw your viewers attention to a specific section of the screen by creating a blur halo around the object of interest. Simply, drag and drop the plugin onto you clip and then use Selective Focus’s on-screen controls to dial in the precise look you want. Want to filter out an overly-bright sky without effecting the rest of your image? Enter the ND Filter plugin. An ND filter is great way to reduce the intensity of light, and with a multiple-point mask, you can filter the exact section of the image that is over-exposed without darkening the rest. Also, with the Graduated Filter plugin, you can choose a hue gradient for your filter. 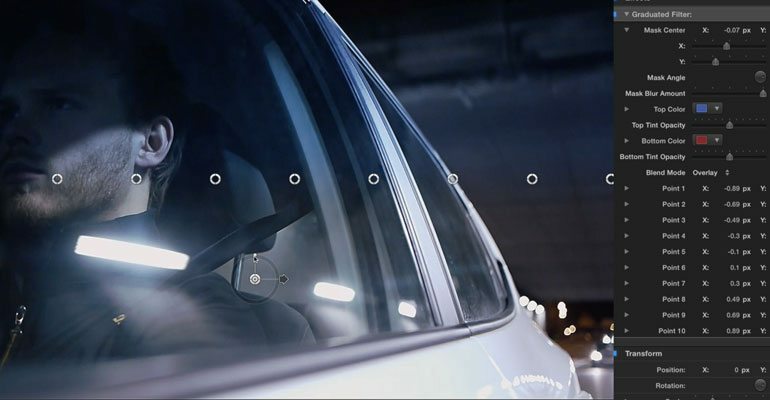 If your are filming a music video or Sci-Fi movie, an Anamorphic Filter is a great styalistic approach. Use the Anamorphic Filter plugin included in PROLENS to add horizontal or verticle lens flares to the light sources in your footage. If you are struggling to properly set the white balance on your camera, you don’t have to worry anymore. With the White Balance plugin, you can remove any unsightly blue or orange tint that may be due to an improper white balance temperature. Use the ISO Adjust plugin to brighten dark footage without increasing the amount of noise and film grain. With this safe ISO booster, you can save clips from underlit shoots. Have noisy or grainy footage that you would like to use? Try Pixel Film Studios’s Denoiser plugin, a great way to get your video looking sharp and clean. 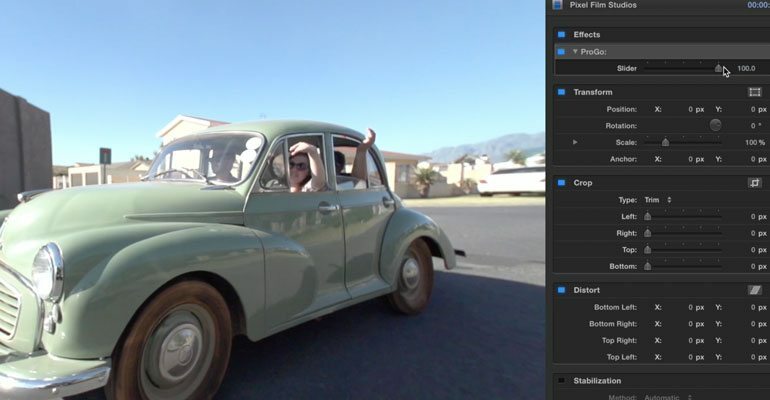 The Denoiser plugin removes noise and grain while leaving the important details intact for a great-looking video in FCPX. 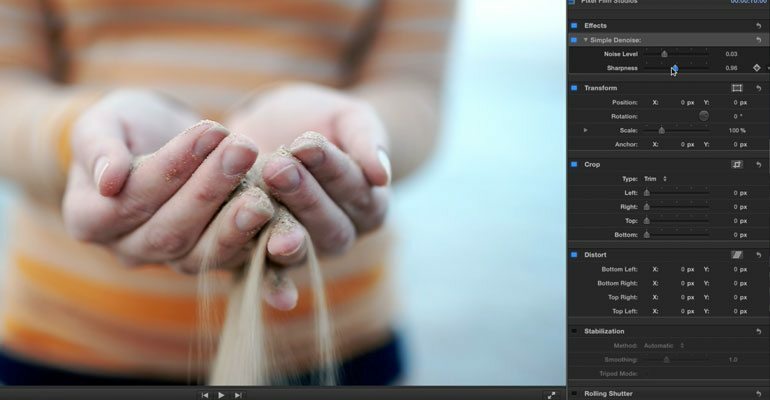 Learn how to use professional lens plugins with the ProLens Lesson from Pixel Film Studios. 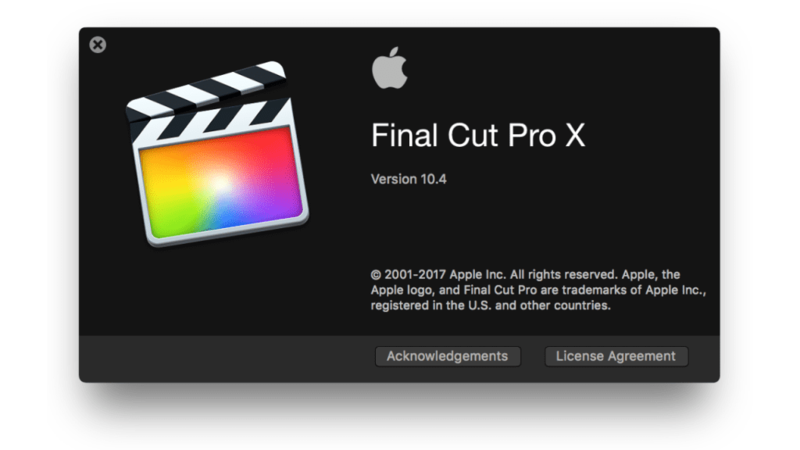 First, Select your media in the FCPX library and drag it to the timeline. Now, locate ProLens in the effects library. You will notice that ProLens has different sections of effects such as, Camera Settings, Denoise, Filters, and a Lens Kit. Each section will be very beneficial to your media. We will start in the Camera Settings Section. Click and drag the ISO and White Balance preset directly onto your media. The ISO slider bar controls how much light you want to show in your media. White Balance is controlled by a color temperature which is “Kelvin”. Sliding the slider to the left makes your temperature cooler and sliding it to the right makes your temperature warmer. You can adjust the intensity of your temperature as well. Clicking the Show Neutral Target Box will bring up a white circle in the middle of the viewer window. This is a visual representation of what is white and what is black. You can adjust the circles color from white to black with the Neutral Target Lightness slider. Below you can control your exposure with the Exposure adjustment slider. First we will discuss the Denoise Shadows Preset, Click and drag the preset onto your media. Clicking the Isolate Effect check box will just bring up what you are adjusting. You can adjust how much noise you want to leave in or take out with the Noise Level Slider. Controlling the sharpness slider will determine how much definition you want to be shown of your noise. The Effected area slider lets you choose how much noise you want on a that specific area. You can finish off your noise adjustments by softening the edges, controlling the edge position, Sharpen selection and finally opacity of your Denoise Shadows adjustments. Selecting the Simple Denoise preset gives you two sliders to adjust which are Noise Level and Sharpness. Let’s start with the anamorphic flare effect. First is your mask controls where you can control the position, height and angle. You can also make these changes by using the on screen controls in the viewer window. Click anywhere inside the rectangle box to change the masks position. Click and drag the top or bottom circle to alter the height. By clicking and dragging the circle on the left or right side of rectangle mask to adjust the width. Change the rotation by choosing any corner of the mask rectangle. Finally, adjust the feather and roundness of the mask by using the designated sliders in the inspector window. 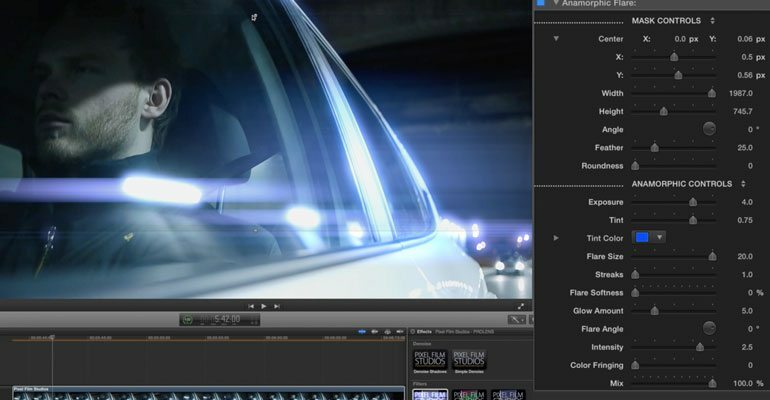 Once you finish customizing the mask you can move down to the anamorphic controls section. Now lets customize our anamorphic flare. Start by adjusting the exposure and tint. Next Select a tint color. After choosing a color you can adjust the flare size, streaks, flare softness and glow amount. Once you make those changes you can go on to adjust the flare angle, intensity, and color fringing. The color fringing slider will give your rays a blurred or noticeable colored edge on the anamorphic flare. Lastly we will adjust the mix slider. Next, We have the Graduated Filter. 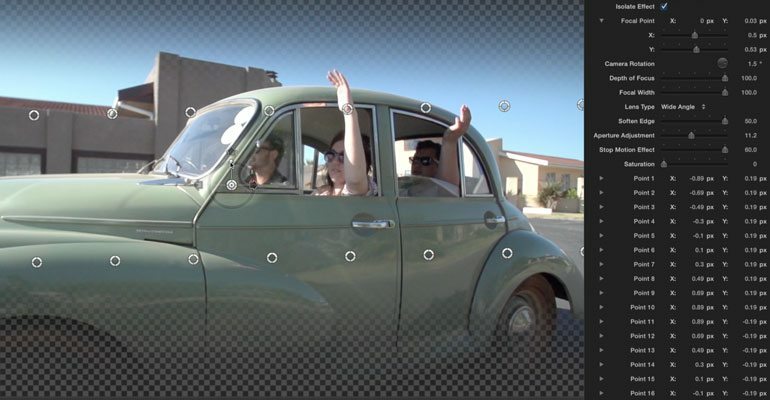 By using the Mask Center you can choose where you want your filter to be, Along with the angle. 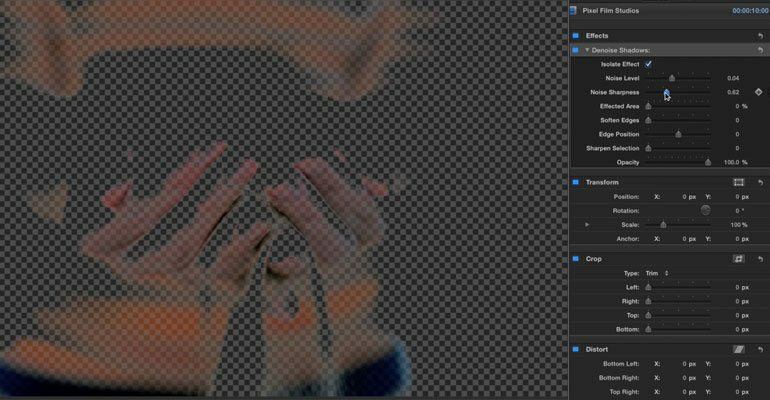 Adjusting the mask blur amount will show you exactly where your filter begins and ends. Move the blur to 100 percent to make a flawless filter. Underneath you have the opportunity to change the top color and bottom color of your filter. Both of those have RGB sliders to customize the color you chose. You also have opacity sliders that control both the top color and bottom color. You then have your blend mode options where you can choose between overlay, screen, and soft light. After that you will notice ten points in your inspector window and ten points in your viewer window. You can adjust these points which you can move anywhere on the screen. With these multiple points, you can filter the exact section of the image that is over-exposed without darkening the rest. Let’s go over the ND Filter The ND filter reduces or modifies the intensity of all colors of light equally. You control these sliders the same as you would control the Graduated Filter sliders. ProGo will correct your fisheye distortion by simply adjusting the slider. Next, Let’s demonstrate Selective Focus Selective Focus allows you to draw viewers attention to a specific section of the screen by creating a blur halo around the object of interest. Check the isolate effect box to really focus in on what you want your viewers to see. Adjust aperture, focal size and depth of focus as well. Use the Center X and Y sliders to choose the position of your blur halo. The last of the Lens kit is tilt shift. 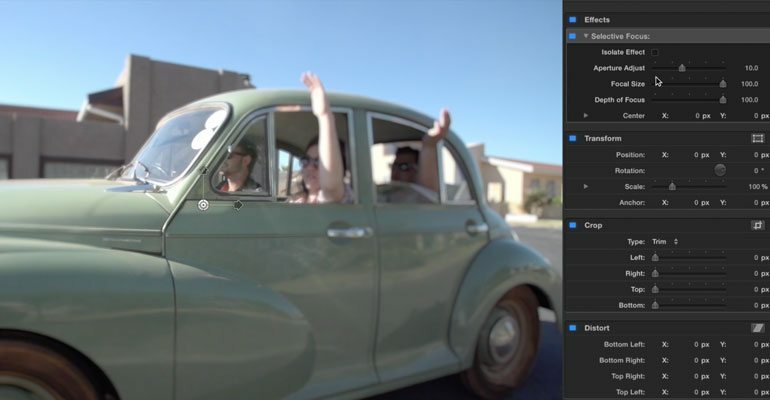 Tilt Shift is a powerful plugin that can quickly turn your footage into a miniature, stop-motion simulation. You can isolate this effect as we have done previously. First you can control you focal point, camera rotation, Depth of focus, and focal width. You can adjust your camera rotation in the viewer window by spinning the pin clockwise or counter clock wise. By dragging the top arrow up down will control the depth of focus slider, the arrow pointing to the right controls the soften edge slider and the arrow pointing left controls the focal width slider. Next you can select your lens type between Wide Angle and Telephoto. Soften the edge and adjust the aperture of your tilt shift. Underneath that you have your stop motion effect and saturation sliders. You will see that you have 20 points to adjust in the inspector window as well as in the viewer window. Each one will expand or decrease your tilt shift range.